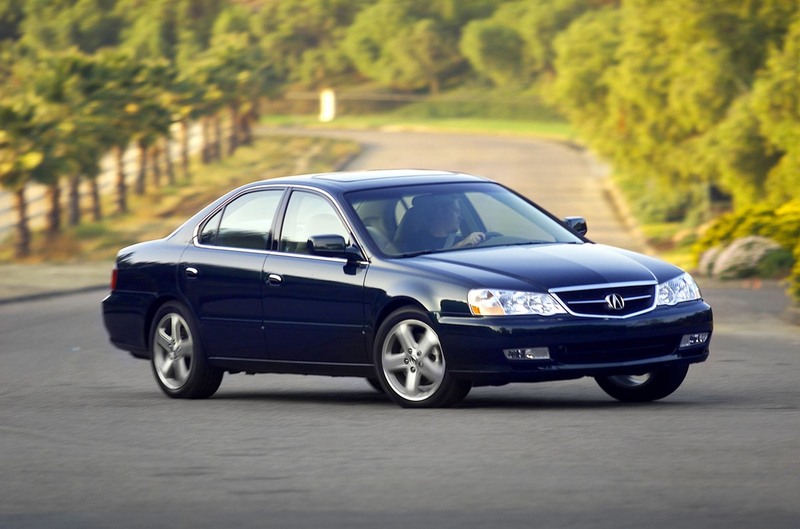 In this wonderfully diverse car world we live in, Acura is a relatively young manufacturer. But what Acura has managed to accomplish in 30 years of existence, many car manufacturers haven’t been able to do in well over 50 years in the business. Today we’re going to be taking a look at some of Acura’s most iconic cars from over the last three and a bit decades, as well as highlighting what made them so incredibly special. 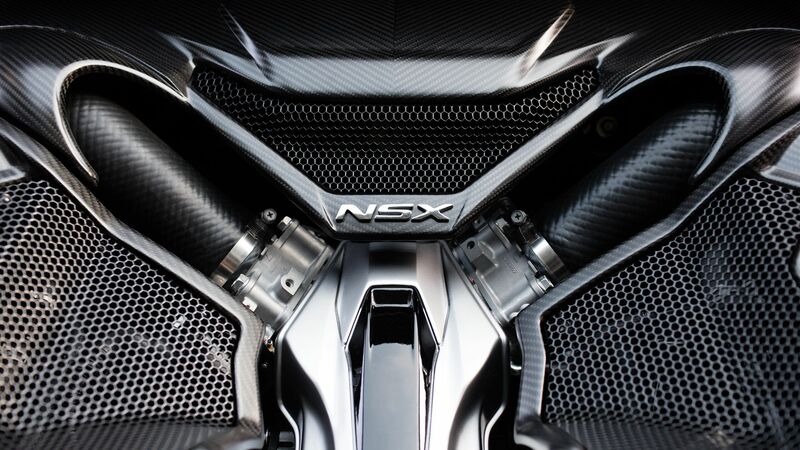 It would be irresponsible of us to start off this article with anything other than the NSX. It’s a car that to this day adorns a lot of little boys’ and girls’ bedroom walls, continuing to inspire a new generation of car enthusiasts. It was developed and perfected by none other than the legendary Ayrton Senna, one of the greatest Formula 1 drivers in the sport’s entire history. 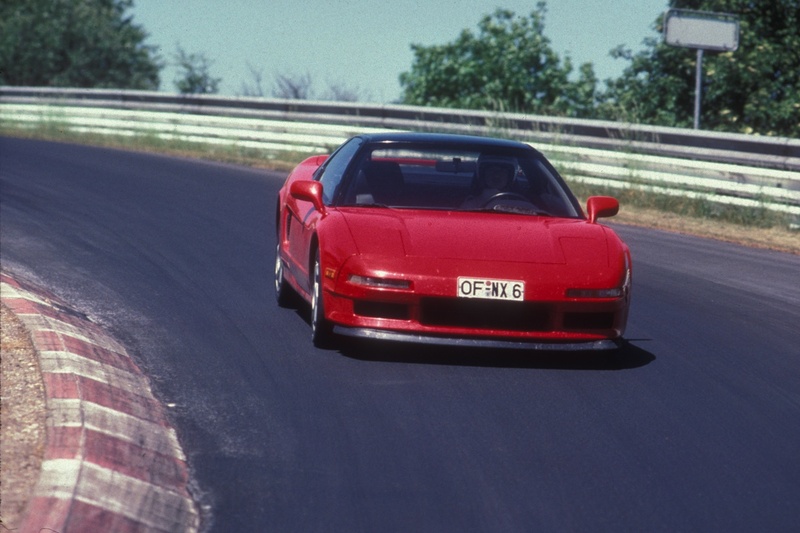 The NSX was considered to be the original ‘bargain supercar’ in 1990 when it was released, a reputation it held until 2005 when production ceased…and then fired back up again when it was relaunched in 2013. It made supercar ownership somewhat attainable and yet managed to outclass just about everything else on the track. 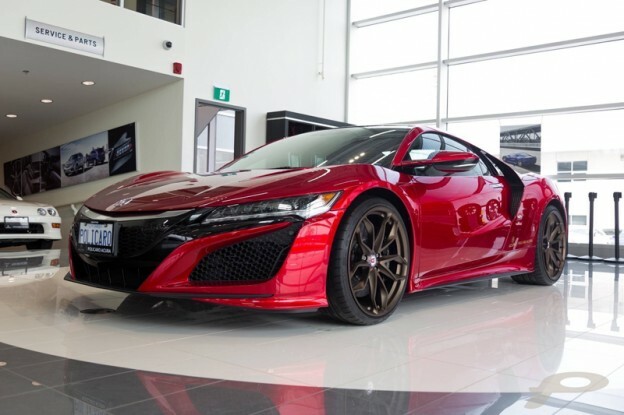 The first NSX came with a 3.0-litre V6 producing 270 horsepower, but Acura later upgraded it to a 3.2-litre unit capable of pushing out 290 horsepower. Although that wasn’t an enormous horsepower figure even back then, the NSX became well-known thanks to its incredible driving dynamics. 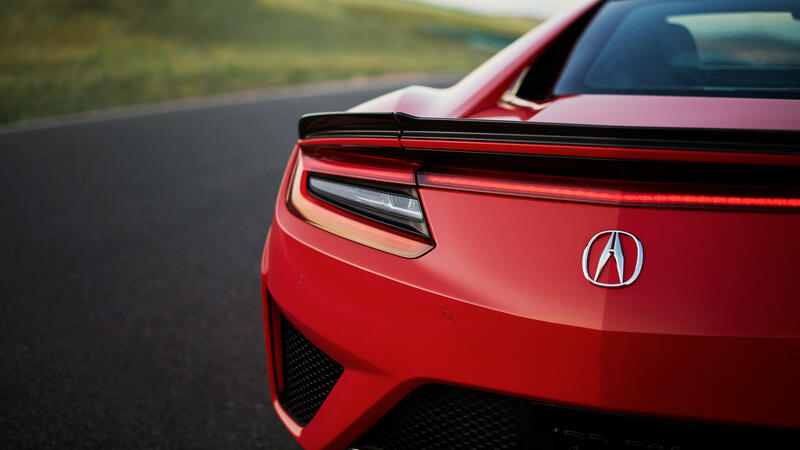 Praised for its neutral and agile chassis by automotive journalists the world over, it’s earned its place in history as one of Acura’s best creations. 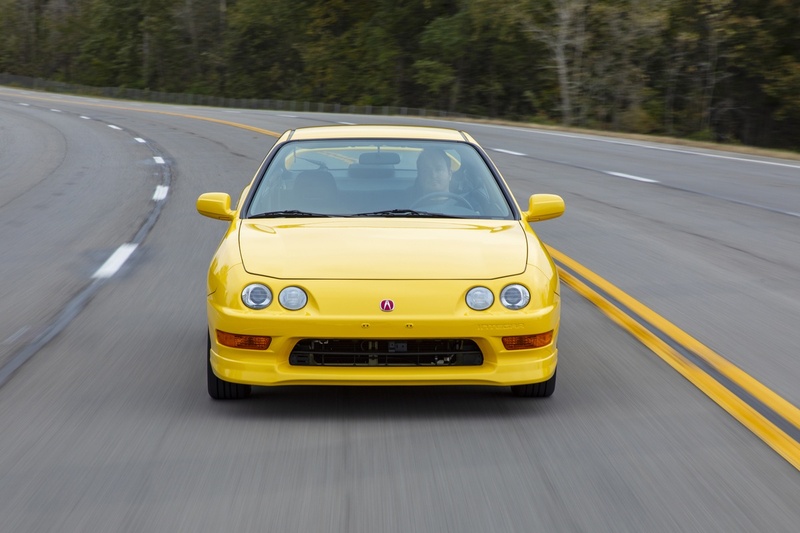 When the first-gen Integra Type R hit the market, it absolutely shocked the automotive world and turned it on its side in 1997. 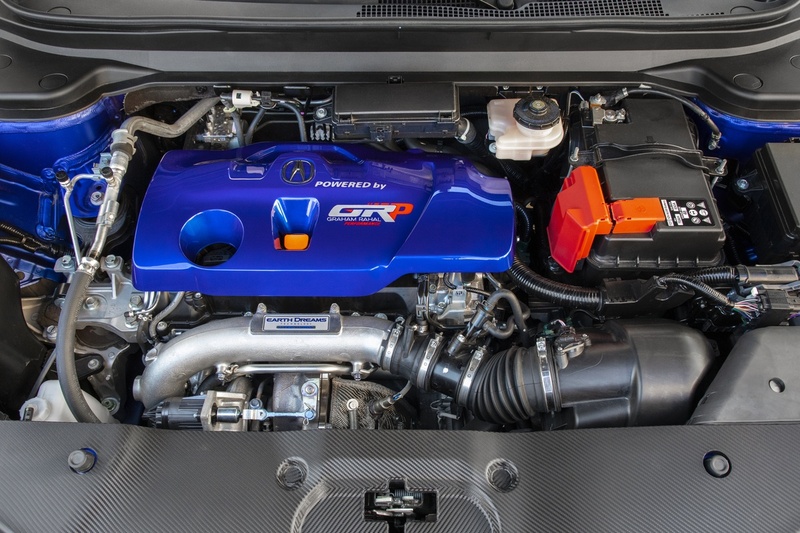 The 1.8-litre VTEC four-cylinder engine producing 195 horsepower found in the Type R set the world record for the most power per litre of any naturally-aspirated engine at the time, at 108 hp/ltr. What separated the Type R wasn’t its engine, however, but its chassis. The Integra Type R is light and extremely nimble. It’s easy to drive, but difficult to get the most out of, and as such, offers a unique driving experience. An engine with an 8,500 rpm limit, a Helical LSD for putting all that power to the road, and a sweet, slick 5-speed manual transmission. The Type R, which was produced from 1997 to 2001 with a break in 1999) was succeeded by the Acura RSX. North America never got the DC5 Type R and instead got the equally-brilliant RSX Type-S. Objectively, in every way, the new RSX was better than the previous Integra Type R. It had a close-ratio six-speed manual, a more powerful 2.0-litre four-cylinder unit, and even sport-tuned suspension. For some reason though, the Integra Type R still seems to be a crowd favourite. Built to dominate the mid-size luxury segment, the Legend did exactly what Acura needed it to do in the 80s and 90s when it was produced. 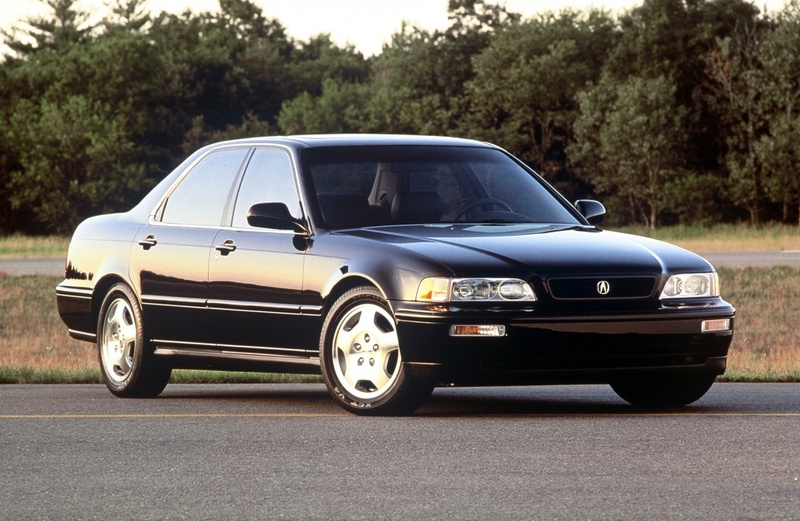 This flagship model proved to be one of Acura’s most profitable vehicles at the time, and for good reason. It was reliable, practical and most importantly, built to last. You can still see a lot of Legends on the roads today, many of which have ticked well over the 300,000-kilometer mark. It was made available as a 2-door coupe and a 4-door sedan, but you’re a lot more likely to spot a sedan as the coupes are rarer. A true definition of the term ‘sleeper’. The TL Type S was a genuine wolf in sheep’s clothing. Very few people suspected a 3.5-litre V6 engine producing 286 horsepower hiding under the hood of an average-looking sedan, and even fewer knew the differences. Distinguishable by its quad exhaust pipes, TL S badges, and unique wheels, the TL Type S quickly gained a following in 2002 when it debuted. People have been modifying and tuning these cars ever since. Our favourite is the face-lifted 3.7-litre V6 Type S equipped with a manual six-speed and all-wheel drive. This entry was posted in Blog on December 30, 2018 by Stefan Petrov. 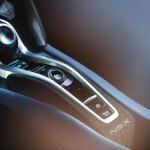 What is Acura’s True Touchpad Interface? 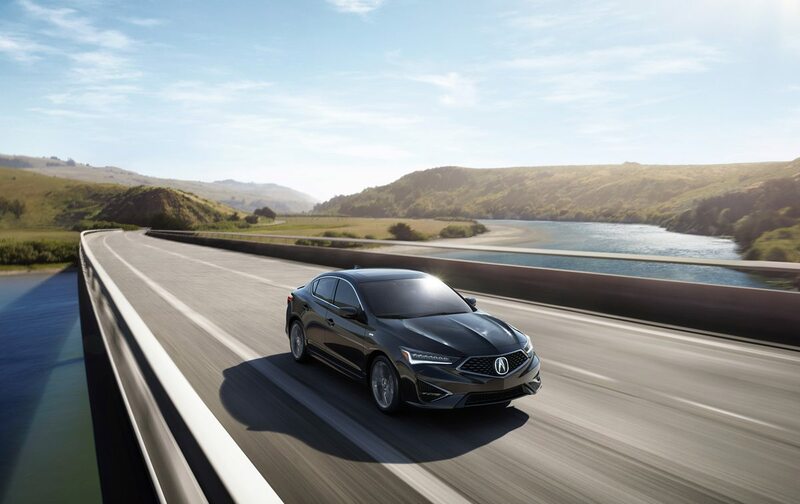 In short, it’s Acura’s latest and greatest user interface now available in the 2019 RDX. In today’s sea of entertainment systems filled with a ton of unnecessary buttons and hard-to-understand menus, the new True Touchpad Interface is a real breath of fresh air. 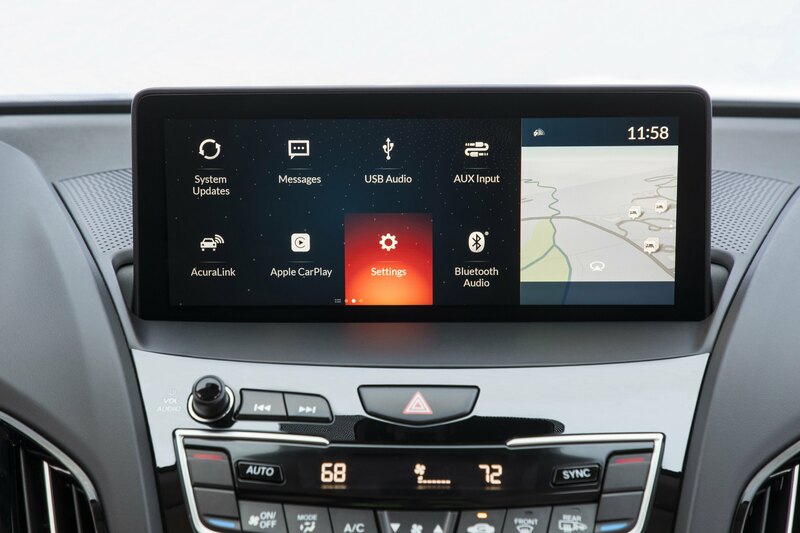 Acura has completely reinvented the way an infotainment unit communicates with the user. 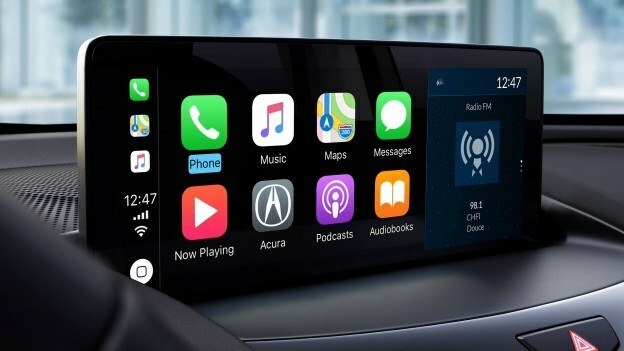 The system has already gained high praise from WardsAuto in their annual “10 Best UX,” claiming it raised the bar that much higher for other manufacturers to follow. The simplicity and usability it brings to the table for starters. 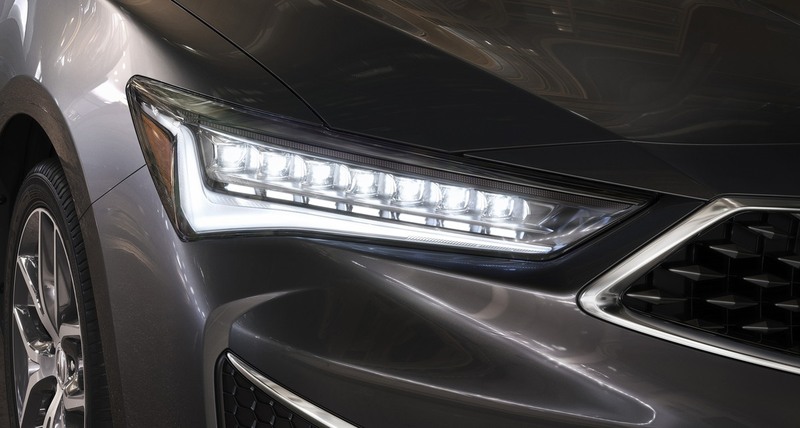 Acura has worked hard to make it as elegant and unobtrusive as possible, with an eye-catching design that aims to reduce driver distraction. Above everything else though, it’s the new features introduced that truly make it stand out from the rest of the crowd. Unlike most pad-based systems we see in the industry nowadays, the True Touchpad Interface doesn’t offer the user a cursor to navigate through the menus. Instead, it has a precisely mapped, one-to-one touchpad that acts as a remote touchscreen if you will. Pressing the touchpad at a certain location corresponds directly with that same location on the display, so the driver never has to reach for the actual display and can operate everything from one single interface right next to his or her hand. This makes it the world’s first application of absolute positioning in a driving environment. Then we get to the display itself, a 10.2-inch full-HD unit that rests on the dashboard, just above the center console. The operating system has been reworked to offer a new, intuitive design with simple graphics and logical menu structures. It redefines the term “ease of use,” decreasing the angle height of the required learning curve. Since the new operating system is Android-based, customers can customize their “Apps” to their hearts’ desire. Frequently used features such as destinations, phone contacts or radio stations can be placed under the “Favourites” section and displayed directly on the home screen. The touchpad itself has been designed with maximum efficiency in mind. It has a subtle concave form factor including an actual physical border, so the driver can use it while keeping eyes on the road. A simple touch highlights an item on the display above, and a push confirms the action and makes the selection. This has been designed to prevent mistakes and unnecessary delays scrolling back through the menus. The touchpad has two distinct zones and both of them correspond directly to the primary and the secondary information displayed on the screen. This, in turn, allows for quick-screen swapping and multi-content viewing with ease. The most common configuration is music on the right and navigation on the left. 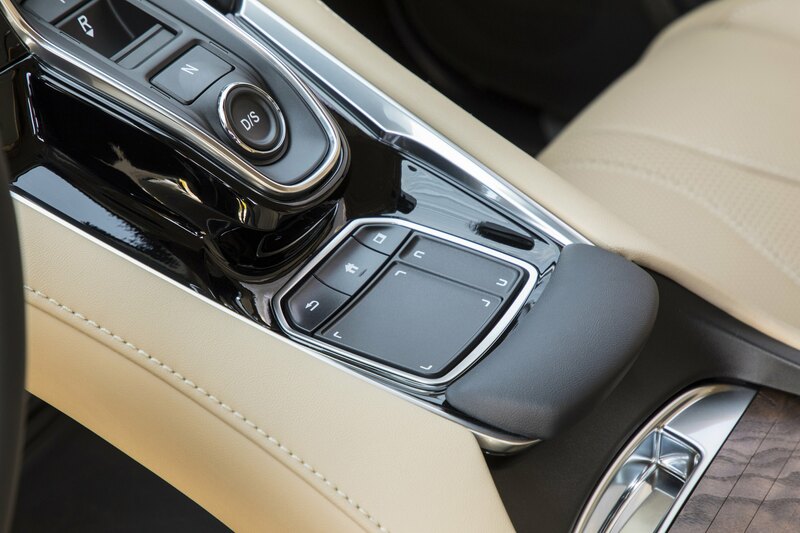 In addition to the new touchpad, the infotainment system can be operated via voice recognition and handwriting. 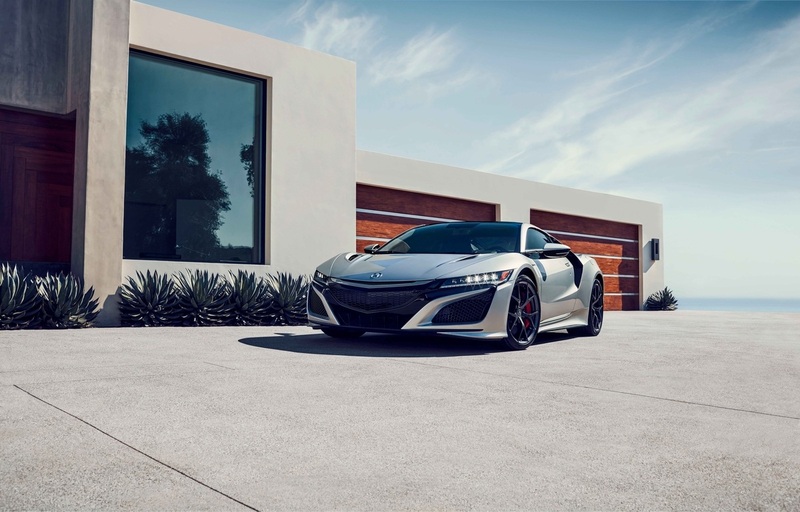 Acura has worked extensively on voice recognition in particular, making the new system one of the best currently available on the market. 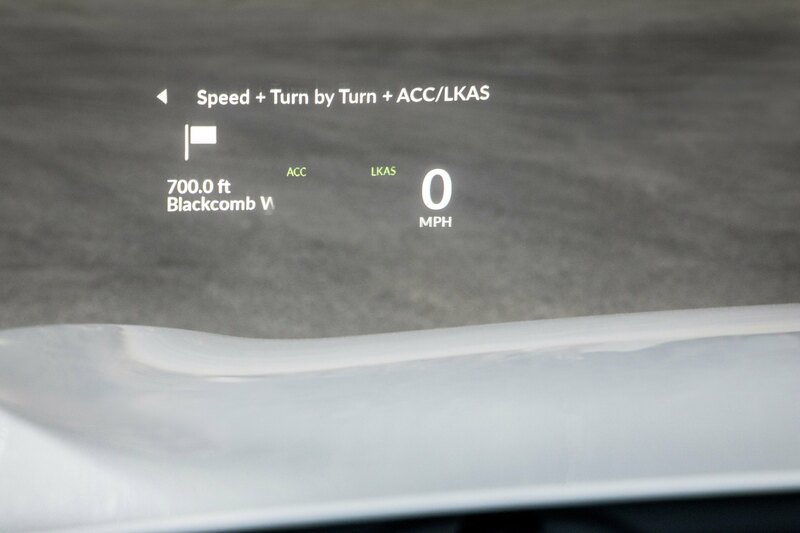 The optional Advance Package brings with it a full-colour 10.5-inch head-up display with a ton of customizable options, projected directly in the driver’s line of view. This entry was posted in Blog on December 17, 2018 by Stefan Petrov. Feature image via Bean & Pearl. Nobody should drive hungry. They don’t teach that in driving school and we don’t have any science to back the statement up, but we’re willing to stand behind it. At least for as long as we’re in Brampton where we’re spoiled for quick and delicious local options for snacks, meals, drinks or treats before or after a long road trip. 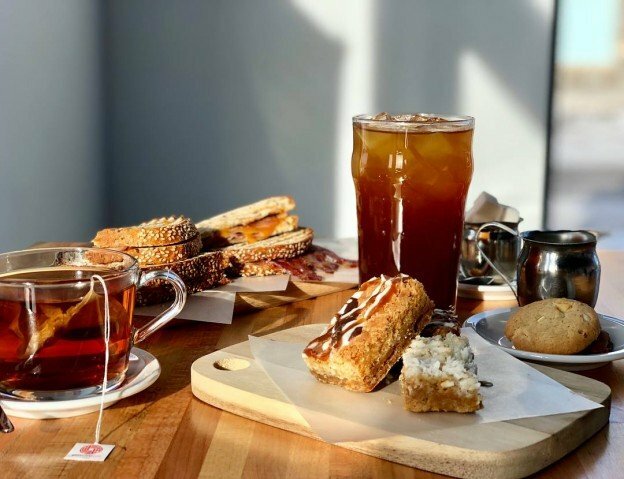 Whether you’re hitting the 400 series for a rush hour commute, taking a Sunday afternoon cruise or heading to the airport and beyond, make sure you feed, hydrate and/or caffeinate yourself at one of these local businesses beforehand. When it comes to fast and healthy food, you can’t do much better than a fresh juice. Trish Juice may specialize in (you guessed it) juice, but their menu lists a lot more than that, including avocado toasts, smoothie bowls, soups, wraps, salads and more. Go for the juice, stay for the lunch, return for the juice…. It’s a vicious cycle, but very healthy. This is Daniel. Daniel likes tea. And bowties. And he’s really good at both. Located inside Bramalea City Centre next to the HBC, T by Daniel is a delightful experience guaranteed to put you in a good mood. From the cheerful greeting you receive from staff upon arrival to the expert attention and product knowledge, this is a popular spot for good reason. This Latin-inspired café might be new to the city, but it’s already made an impression with the locals. Segovia Coffee sources their beans from Nicaragua, allowing the origin of the beans to influence the menu. Grab a coffee and an empanada or alfajores to go for something a little different than your usual Starbucks order. This place is serious about one thing: pretzels. And no, we’re not talking about the crunchy little ones that you have one of, say “huh, that’s not very good,” and then proceed to eat 80 per cent of a family-size bag. These are the real, kneaded, twisted and baked bread pretzels that are for some reason normally relegated to baseball games and the CNE. Unlike the ballpark vendor, however, Das Brezel Haus has multiple different types and flavours, and will even make them into sandwiches. YOU CAN DO THAT?! If your drive is happening in the later hours and you’re craving a burger and fries, know that there is a pretty solid alternative to the mass fast food chains in the Brampton area. Sonny’s has been serving charcoal-broiled burgers drive-in style for over 40 years, so they’re doing something right (insider tip: it’s the poutine). This entry was posted in Blog on November 23, 2018 by Administrator. 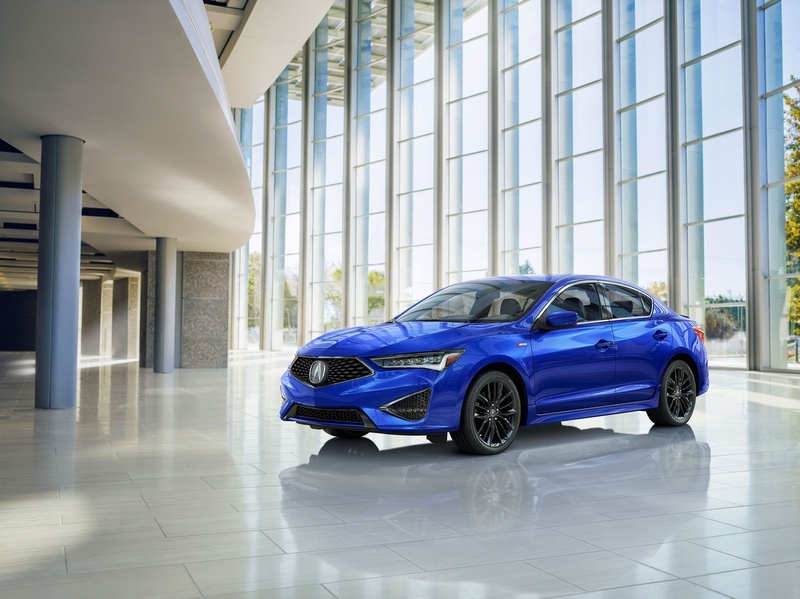 Acura began SEMA 2018 with more of an explosion than a bang, as it unveiled a 345 horsepower version of its luxury compact crossover, the 2019 RDX A-Spec. 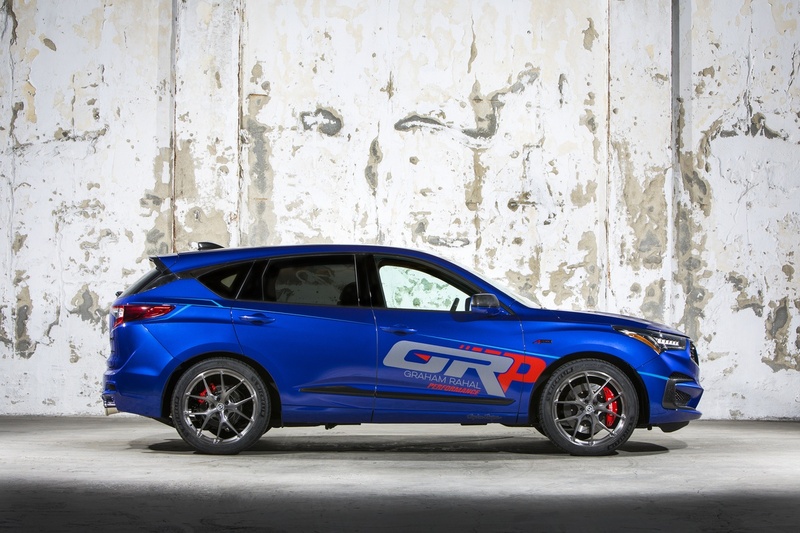 The Acura RDX is already a strong performer in stock trim, but that didn’t stop Team Honda Indycar driver Graham Rahal from transforming it into a show-stopper. Adding a little voodoo sauce, Graham Rahal Performance (GRP) applied subtle-but-significant upgrades to the GRP RDX. By taking a more mature approach to performance and styling enhancements than is typically seen at SEMA, he created a crossover that is capable of putting a smile on even the most sensible accountant’s face. 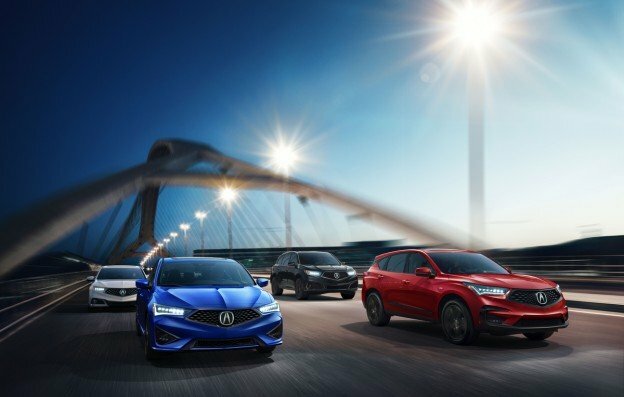 Powered by a 2.0-liter DOHC VTEC 4-cylinder turbo engine, the RDX puts out an impressive 272 hp and 280 pound-feet of torque right off the showroom floor. Using mostly bolt-on upgrades, the Honda-focused speed shop managed to wrangle an impressive 345 hp and 370 lb-ft of torque from the K-series engine. A new turbo was paired with a faster-flowing intake manifold and PRL Racing intercooler. KTuning reprogrammed the ECU with a custom but fairly safe tune. The hot turbo gas is expelled from the motor via a fast flowing exhaust manifold, custom downpipe and a lightweight cat-back exhaust. A pair of huge exhaust tailpipes hint at the blistering performance this Acura RDX offers. 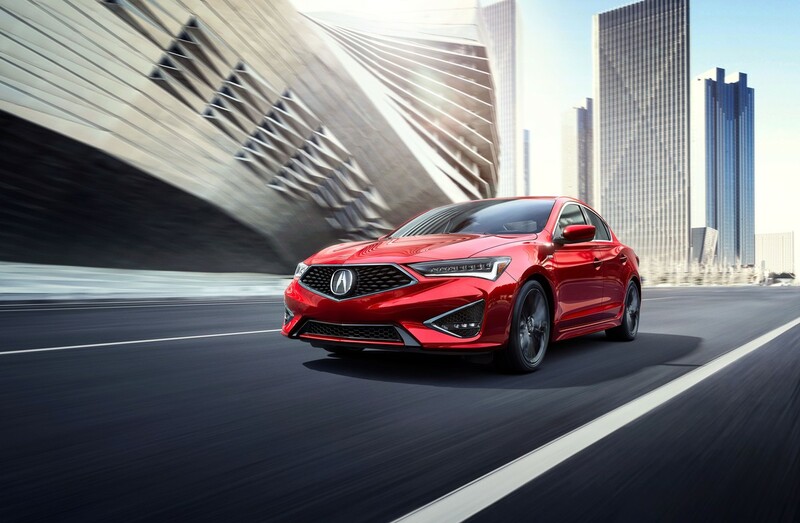 The RDX A-Spec already comes with an impressive SH-All Wheel Drive system that is capable of not only driving power to the front and rear wheels, but to the inside or outside rear wheel as needed to enhance cornering stability and speed. 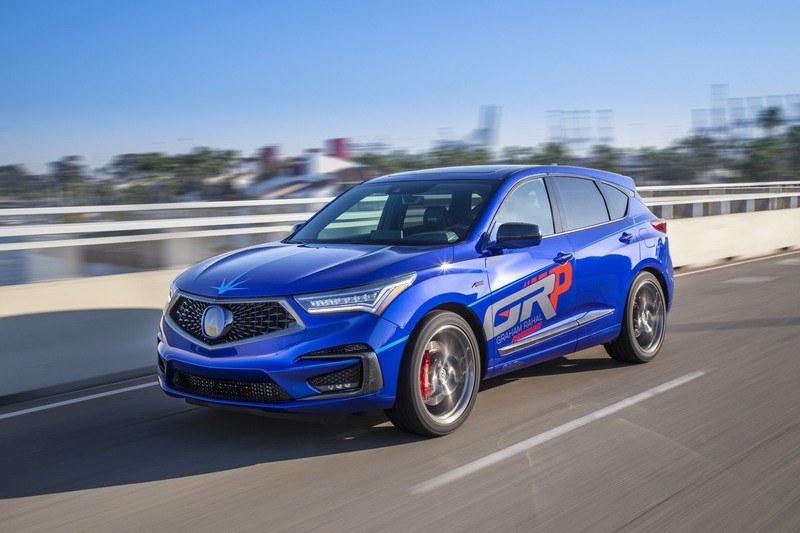 To further enhance this, GRP turned their attention to making the suspension and handling awe-inspiring and to give the Acura RDX the ability to attack corners with a competitive aggression when needed. The vehicle was lowered by two inches and the suspension stiffened up with custom Eibach coil-overs to make cornering gratifying and dynamic. 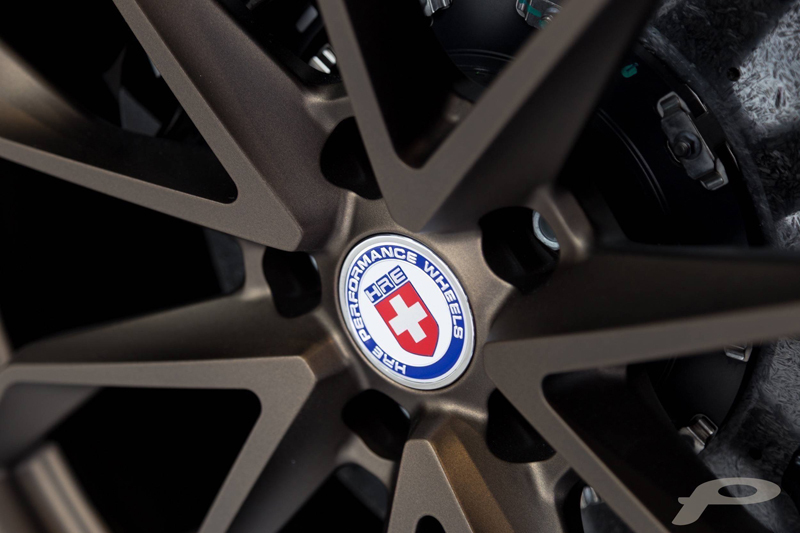 Wheels were upgraded to 21-inch HRE alloy wheels and wrapped in 265-40 Michelin Pilot Sport 4S tires. Huge six-piston StopTech brake callipers are tasked with bringing the RDX to a stop. Keeping with the subtle-but-stylish theme, custom carbon grille accents and mirror caps were added to the exterior. The lower front garnish was paint matched to the body to give the RDX more of a road-hugging appearance. 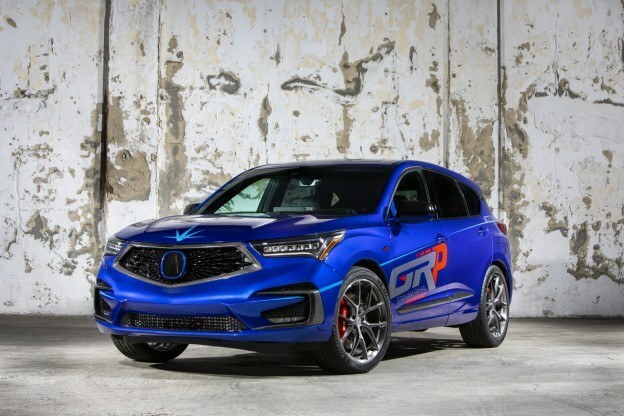 Troy Lee Designs was responsible for the eye-grabbing graphics that were laid over the A-Spec exclusive Blue Pearl Paint and the result is that the Acura RDX looks stunning at any speed. The interior was also dressed up to reflect Acura’s philosophy of blurring the line between sport and luxury. Max Papis of MPI Innovations provided a custom steering wheel to complement the custom carbon fiber accents and complete the transformation. 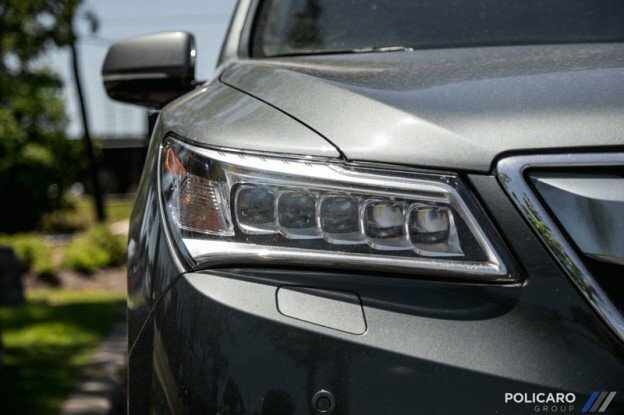 While not exactly an exercise in sensibility, Graham Rahal Performance managed to showcase how easily tuneable the Acura RDX is without compromising comfort, safety, reliability or luxury. This entry was posted in Blog on November 5, 2018 by Administrator. 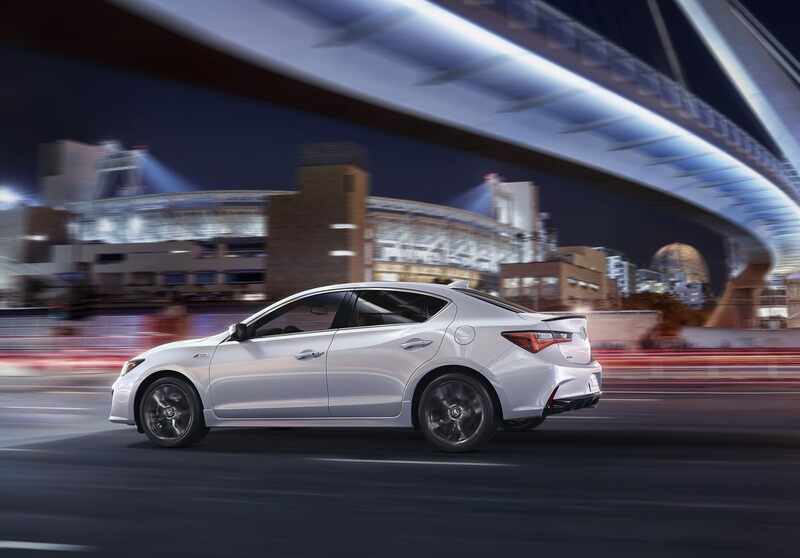 With the 2019 ILX, Acura successfully completes the switchover to their new design language. 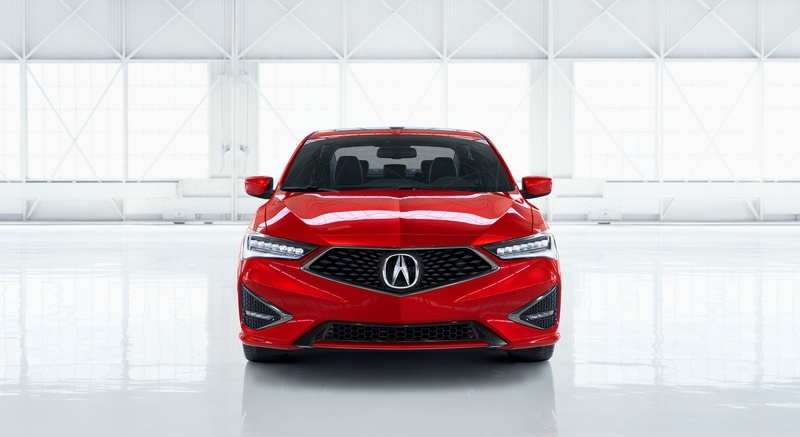 The ILX gets a heavily redesigned front end with much more angular features, including the new signature grille found on every new Acura and those swooping Acura Jewel Eye LED headlights which seem to suit the ILX’s proportions best. Around the back, it gets a new decklid, LED taillights to match those at the front and a lower diffuser that boasts an exposed exhaust tip. 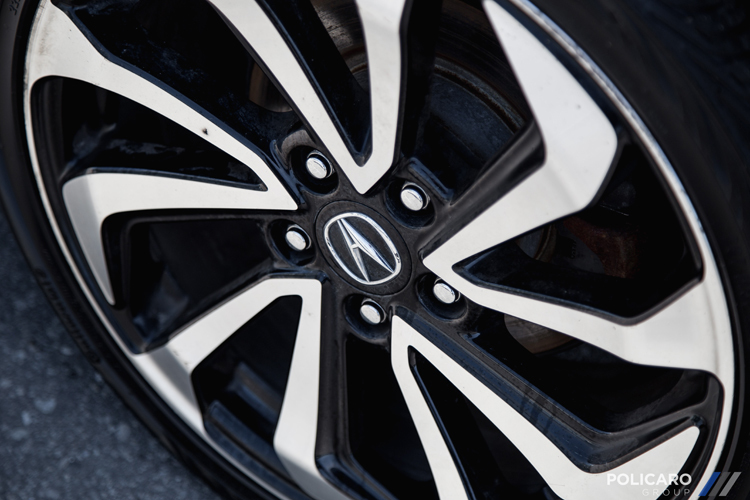 Acura set out to create vehicles with a sportier appearance, and they’ve successfully done so. 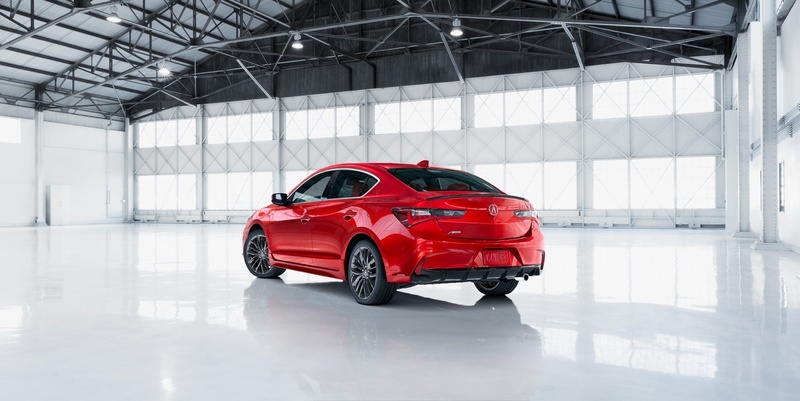 The ILX is sharper and more aggressive in every way, but it hasn’t lost its unique flavor. The corporate look hasn’t corrupted its character and this is still probably the best-looking sporty luxury sedan on the market. It’s also the first time the ILX comes in an A-Spec variant. 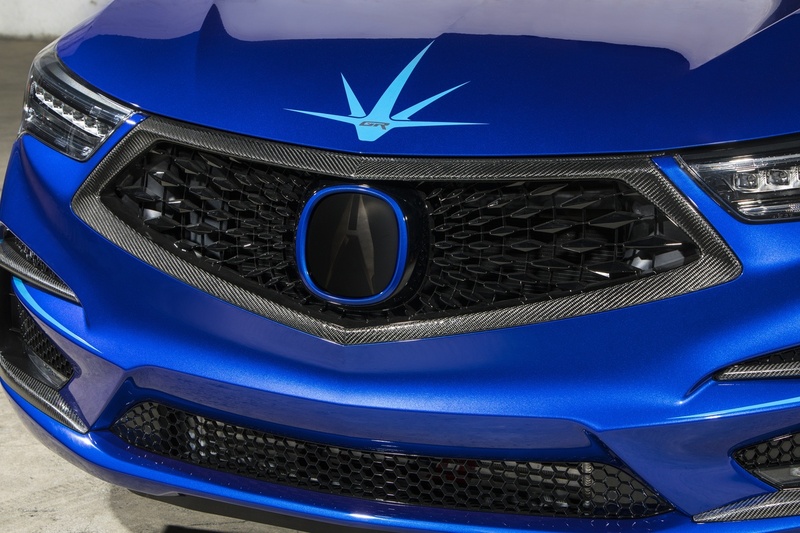 The changes Acura made are more than skin-deep. The ILX gets an overhauled interior too, in the form of reshaped sport seats, power-adjustable lumbar support for the driver and a silver trim with chrome inserts for the dash. The new dual-screen on-demand 7-inch touchscreen runs new software which is 30 per cent faster and more responsive than the old one, as well as Apple CarPlay and Android Auto compatibility. The A-Spec comes available with the Premium and Technology packages. It features a dark chrome trim, gloss-black decklid and LED fog lights on the outside, and an A-spec badged steering wheel and A-spec exclusive elements on the inside. All ILX models get the whole range of AcuraWatch active systems and driver-assistive technology as standard now. Given the fact that the drivetrain was always the ILX’s party piece, it’s no surprise it remains the same. The 2.4-liter four-cylinder i-VTEC unit makes 201 horsepower and 180 lb-ft of torque, sending power to the front wheels via an eight-speed dual-clutch transmission. The ILX uses a MacPherson strut at the front and a modern multi-link setup for the rear. The Honda-derived unit has plenty of oomph throughout the entire rev range, and given the ILX’s lack of weight, it just gets up and goes at any rpm. Coupled with the fast and smooth DCT, the ILX is a real joy to drive. It’s not just a reliable and dependable daily driver, but a vehicle that offers genuine driver involvement and fun. The ILX has always been a class-leader with exceptional characteristics. By updating it and modernizing the brilliant package that is the ILX, they’ve turned it into a segment benchmark. This entry was posted in Blog on October 20, 2018 by Administrator. Fuelling up you vehicle in Canada these days can feel like an exercise in self control. As gas prices continue to increase, so does the public’s frustration and the need for efficiency. 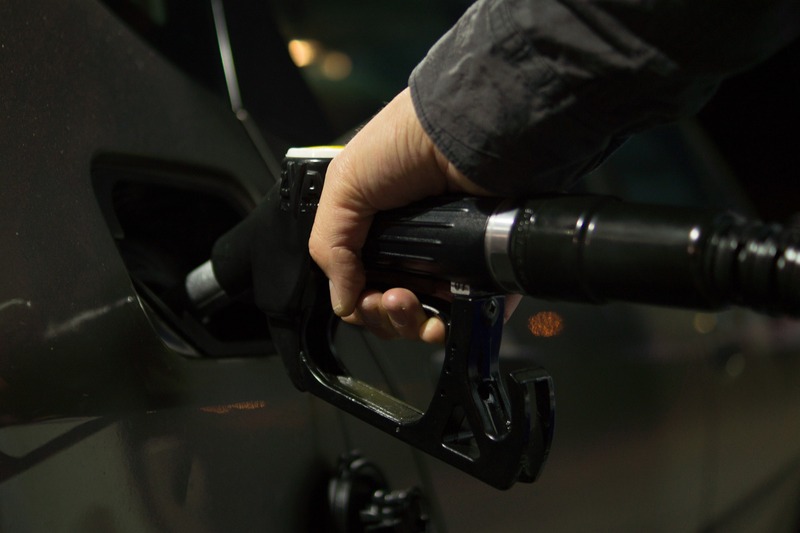 Here are a few tips and tricks that you can do or have done in the near future to save yourself as much money as possible at the pump. An optimally performing engine is a fuel efficient engine. In a bygone era, mechanics would “read” the spark plugs and adjust carburetors to optimize fuel delivery and replace what they believed needed replacing. Today, modern computers and fuel injection have eliminated the guesswork from the procedure, but it hasn’t removed the need for a regular tune-up. Technicians will analyze the various readings of the car’s sensors and perform a checkup of all components, changing things like filters and belts which will ultimately improve performance and efficiency. A regular inspection of your vehicle’s various components is key to maximize the range of each drop of fuel. Start with the pressure of your tire. An under-inflated tire will increase rolling resistance significantly; with a drop of only 8 pounds of pressure in your tires, fuel economy might also drop by as much as 5 percent. While a choked engine is obviously bad for your fuel economy, it isn’t the only part of your vehicle that can affect fuel consumption. Things like bent wheels, worn axles bearings or shocks, and broken springs can all increase the drag on your engine, which will make your engine struggle and drink more fuel. And as an added bonus, you will make your vehicle safer to drive. Those big, knobby tires on your SUV look awesome and aggressive, no doubt, but they almost certainly also increase your fuel consumption because they are harder to turn. Make sure you’re using tires with highway-efficient tread if fuel economy is your goal. The air conditioning of your vehicle is a source of drag to the engine, which means it will increase fuel consumption when it is used. The solution is simple: turn it off when you don’t need it. If the weather is fair, just roll down the windows and enjoy the fresh air. In the middle of a summer like this, however, don’t go crazy… saving a few litres of fuel isn’t worth a heat stroke. Open your trunk and take a long, hard look at everything that’s in it. If you see anything that you don’t need on your daily commute—other than safety gear, obviously—leave it at home. Dead weight will obviously increase your fuel consumption. Same goes for the roof rack: that aerodynamic drag makes your car drink more than it needs to. This entry was posted in Blog on September 22, 2018 by Fred Gaulin. 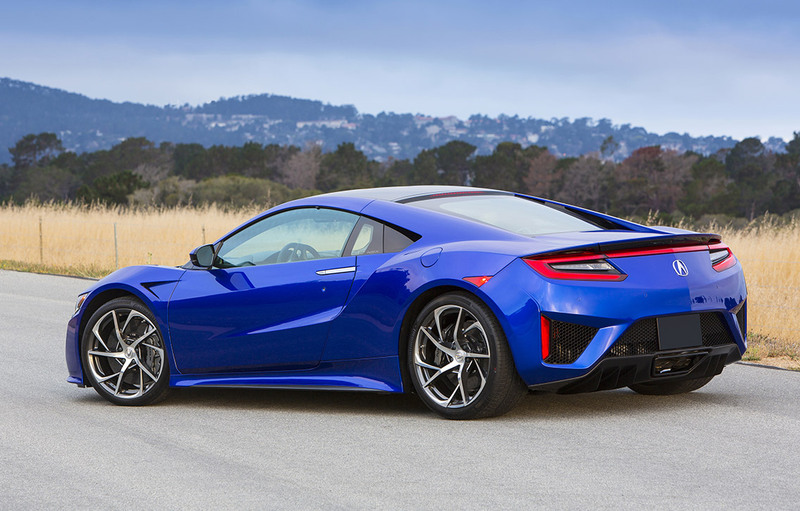 The Acura NSX supercar might sound, feel and drive like it comes straight from the future, but it is, in fact, very much a product of the present. 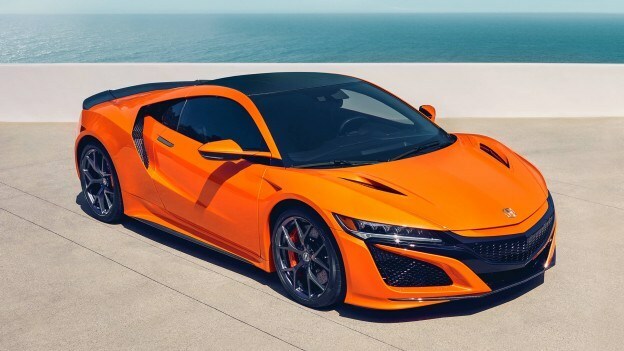 The most obvious changes Acura made to the latest version, the 2019 NSX, is in the colour palette. In addition to the black, blue and various reds and silvers available, the NSX now comes in a VERY visible shade of orange. Called Thermal Orange, this hue pays homage to 30 years of Acura Motorsport (since their race cars usually sport this colour in some way or another). To match the bodywork, NSX’s customers can choose to have their carbon-ceramic brake calipers painted Thermal Orange as well. 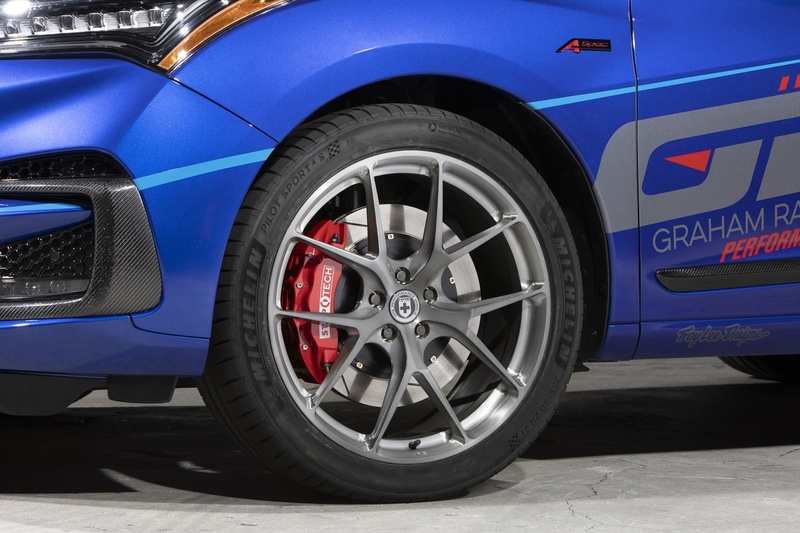 If you prefer the standard iron brakes, you can now have the calipers painted red. 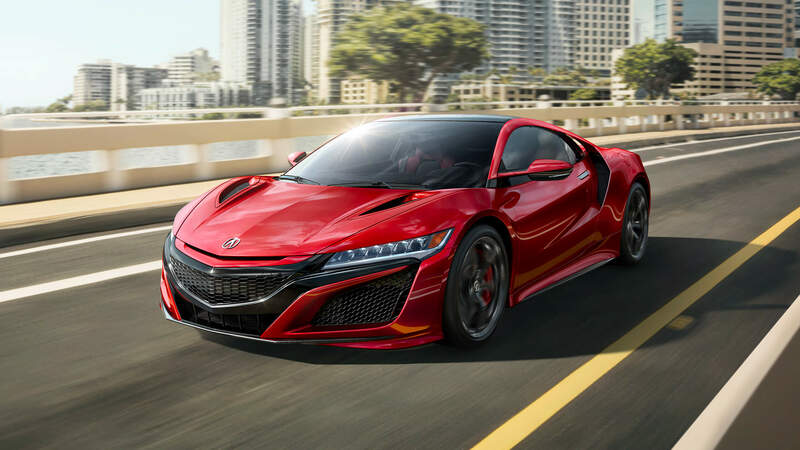 The 2019 NSX also sports some more discrete changes, including a new mesh style for the front and rear bumpers, and some of the accents on the front grille, previously silver, now coming in body colours. Inside the cockpit, customers can now opt for a full red or indigo blue interior. 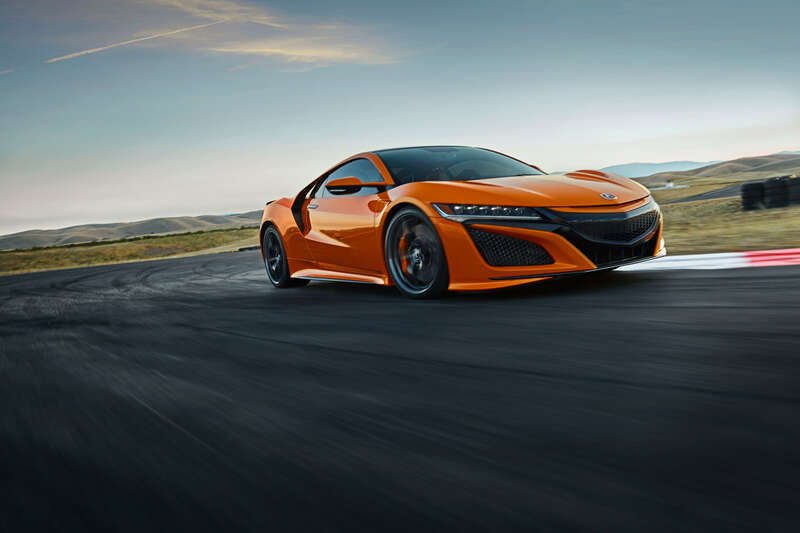 But the developments made to the latest NSX aren’t exclusively cosmetic; engineers modified chassis components, tires and software tuning to make it even more responsive to the will of the driver. Around the renowned Suzuka circuit, the car is now two seconds faster than it used to be. The tires have also been modernized. 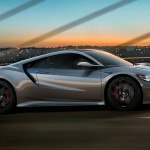 To replace the outgoing Continental ContiSportContact 5P, Continental developed an all-new tire especially for the NSX. Dubbed the Continental SportContact 6, this new rubber is better at handling both the daily commute and the occasional track use. For customers who prefer a more track-focused tire, the Pirelli P Zero Trofeo R remains available. 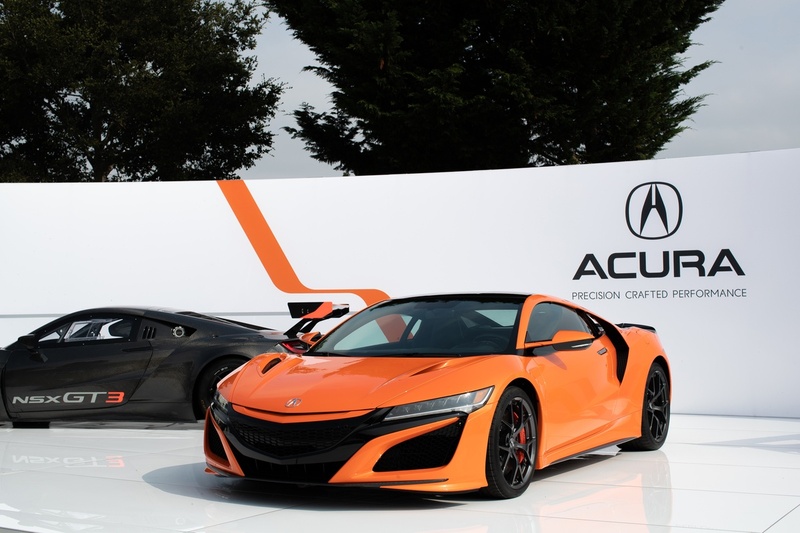 The 2019 Acura NSX will be available for order shortly. 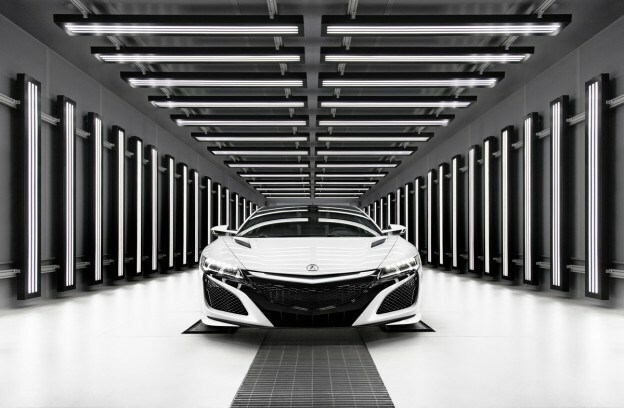 But if you’d like a more personalized experience, you can sign up for The NSX Insider Experience: this one- or two -day package comes with a tour of the Ohio plant where the vehicles are made as well as a performance driving class in an NSX. This entry was posted in Blog on September 10, 2018 by Fred Gaulin. We often try to cut down on our daily commutes as much as possible, seeing it as lost time. With these podcasts in your arsenal, that in-between time can also be used to destress, learn something new, or just giggle a bit. Just try not to gasp or giggle too loud if you’re taking public transportation. HDTGM revels in the joy and confusion that only really really bad movies can bring. Top-tier comedians Paul Sheer, June Diane Raphael, and Jason Mantzoukas are the regular hosts, with a funny friend joining them for every episode. The podcast has a cult-like following who dress in costume for the live shows, and come up with songs for different segments. You’ll be in stitches. The Missing & Murdered podcast finally gives the dozens of missing and murdered aboriginal women in Canada justice. While it might not always be the level of justice of tracking down their perpetrators, it gives these women a voice again. It’s one of the most gripping true crime podcasts out there, especially since it hits close to home. Once you’re finished binge-listening to its two seasons, check out Someone Knows Something, another CBC podcast focused on solving cold cases. If you’ve been lamenting the death of the radio drama, your mourning was premature. Welcome to Nightvale is over 130 episodes in and showing no signs of slowing down. This is a great drama for fans of The Addam’s Family, or just people who love a story about a small town that’s just a little bit… off. Best not to say too much more, so you can find out for yourself. This has everything you want in a music podcast: interviews with amazing artists, explorations of different movements, genres and aspects of the industry, and “New Music Fridays” so you can get some recommendations you may not have heard of. It’s a must for every music-lover to find out more about old favorites and expand the repertoire. If you’re looking to make your commute more productive, If Then will bring you all the most relevant tech industry news. Hosts April Glaser and Will Oremus describe these news items in an accessible and interesting way. Every businessperson, even you’re not necessarily Elon Musk, should be keeping up on these stories, and If Then is the best way to do so. ELT episodes are perfect for when your commute is shorter, and for when your attention span is a little shorter too. Every episode explores a different intriguing topic, answering questions you didn’t know you had, from “How do you spot a spy?” to “Why are used car ads so insane?” and “Are pirate peg legs really a thing?”. And those are just few of the episodes from the most recent season. You’ll learn something new, and have a great topic to talk about at the water cooler or over dinner. We all know that our cities’ infrastructure is important, but how often do you actually think about it? Join host Roman Mars as he explores the functions and flaws of many parts of our hometown’s designs (and just daily life) that we take for granted. Find out why Chinatowns didn’t look like the China they were meant to be mimicking, why sidewalk curbs are the way they are, and why we break bad news the way we do. And with over 300 episodes, you won’t run out of learning material anytime soon. This entry was posted in Blog on August 29, 2018 by Marlys Klossner. But the truth is that no amount of video footage, now matter how high the resolution, can substitute for the real thing. As a member of the Policaro Group and proud supporter of the Policaro Motorsport teams, we’re all for getting out on the track and safely testing the limits. 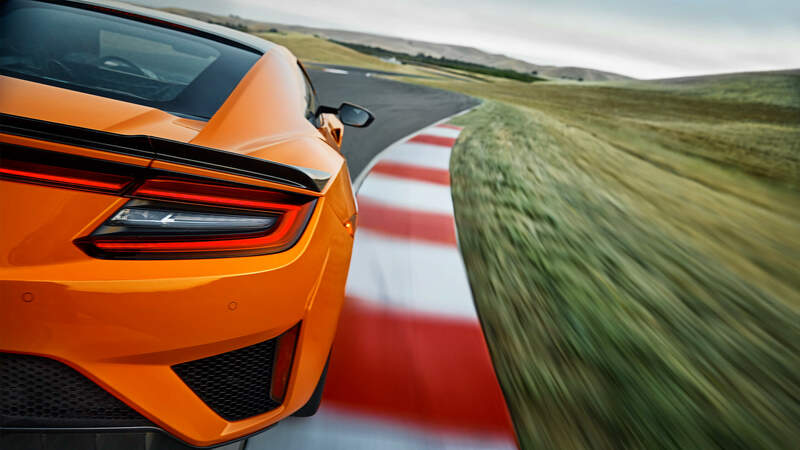 Whether you’re behind the wheel of an NSX or any other car, here’s how to make sure your machine, your body and your mind are prepared for the challenge of track day. Driving on the road IS NOT THE SAME as driving on the track. They require completely different skillsets. Even if you’ve been commuting for years without any problems, you may not be ready to push your car’s limit on a circuit without a little preparation. This is why most tracks offer driving instructors (and many actually REQUIRE that a coach be with you on your first track day). These people all have more experience than you do, will show you how to safely enter and exit the pits and teach you proper on-track etiquette. Keep an open mind, accept that you aren’t the reincarnation of Ayrton Senna and you’ll have a great time. Make sure to go to your track of choice’s website and peruse the safety requirements for track days. Some tracks require helmets, long sleeves and/or long pants. Regardless of those requirements, you should wear closed shoes with thin soles. Expensive driving shoes aren’t necessary—sneakers are fine. Of course, the easiest way to make sure your car is running at peak performance is to take it to a specialist. But even if you aren’t a certified mechanic, there are some things you can do to ensure your car’s mechanical bits are ready to be pushed. Make sure the various fluids—power steering, power brake, coolant—are topped up. Also check your oil’s level and state; if it’s black and opaque, consider having it changed. Apart from that, just make sure there are no loose parts or squeaking belts under the hood, and you should be good to go. First of all, it’s important to make sure that your vehicle can handle a few laps at high-speed. And since the only link between said track and your car is the rubber donuts on those shiny rims of yours, let’s start there. First, check the air pressure and adjust it if necessary; you can find the recommended pressure on a sticker located on the driver side doorsill. Also, make sure your tires are not too worn and don’t show uneven wear. If the inside or the outside of the tire is almost bald while the rest of the surface still shows plenty of tread, you may have a suspension or alignment issue. If the tires are evenly worn, consider changing them. Not only will you be able to go faster on the track, but you’ll also be safer on the street. And once again, remember that track days aren’t the same as races. You’re not racing against other people, and the only thing you can beat is your lap time. If someone is clearly faster than you in the corners, let them through when it is safe to do so… Even if you can dust him off on the straights. Yes, getting passed by a Miata is kind of embarrassing, but look at it as an enriching experience. Observe how the driver is taking the corners, where he is braking and think of how you can use this to improve your own technique. Happy (and safe) driving out there! This entry was posted in Blog on August 9, 2018 by Administrator.